In 2006 three friends found they had a similar love for a broad range of music. Lauryn Smith, Micah Reeves, and Scott Kiehn began having regular jam sessions playing songs they loved. In early 2007, the band was formed using the name Almost Infamous playing off of a popular movie at the time (and of course, an inside joke). Soon they started playing in local area clubs and bars and have continued ever since. In 2012, it was decided to add a friend of the band, Matthew Stone. With incredible musical talent, Matt’s technical ability and versatility brought a whole new capability to the band. Shortly thereafter, another friend of the band and legendary Arkansas sax player, Dave Williams II started playing, ultimately becoming a vital permanent fixture. Dave brought an eclectic sound that made Almost Infamous what it is today. Still, the group found a huge hole in the lineup….drums. Scott Southern, percussion master, with ability to play various styles, provided Almost Infamous with the final piece to its puzzle. In 2015, founding member, Micah Reeves regrettably became unable to play with frequency. Still regarded as a member, the group began the bittersweet search to find a bass player with both skill and synergy. Bruce Johnston, classically trained at Berklee, joined the family to complete the circle. 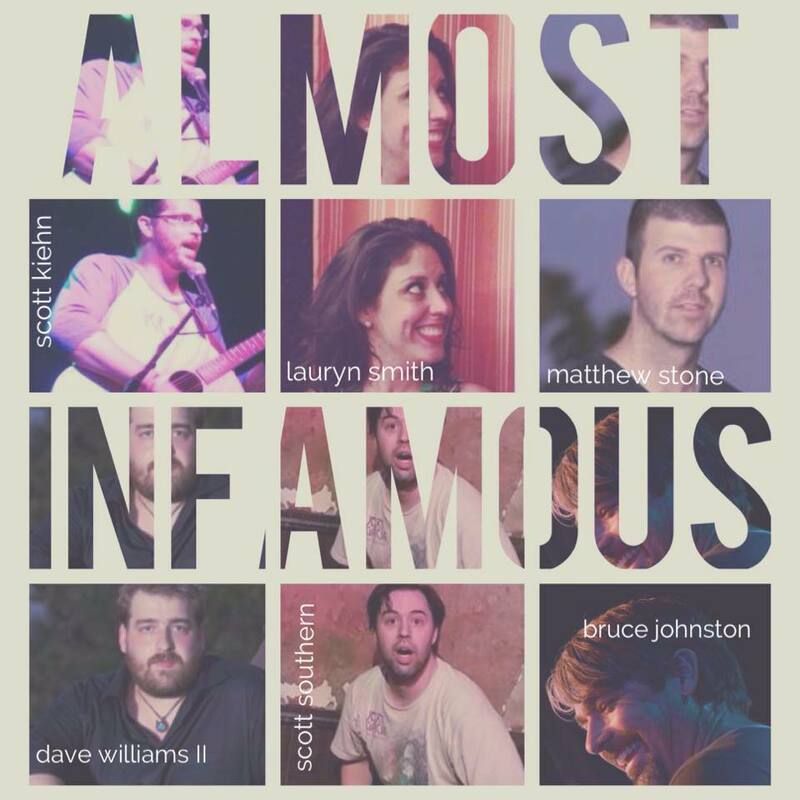 With special performances from other exceptionally talented friends; including Brian Wolverton, Christy Williams, Neil Dillard, Matt Schatz, and Jason McHughes, Almost Infamous has become Central Arkansas’ favorite cover band. A group of six willing to take risks, fun is always the targeted goal. Infamous (pun intended) for mashing unlikely songs to include something for everyone. Each member has a unique musical passion… Soul, rock, jazz, blues, bluegrass, country, and even rap. Six unique musical passions with one commonality….music itself.